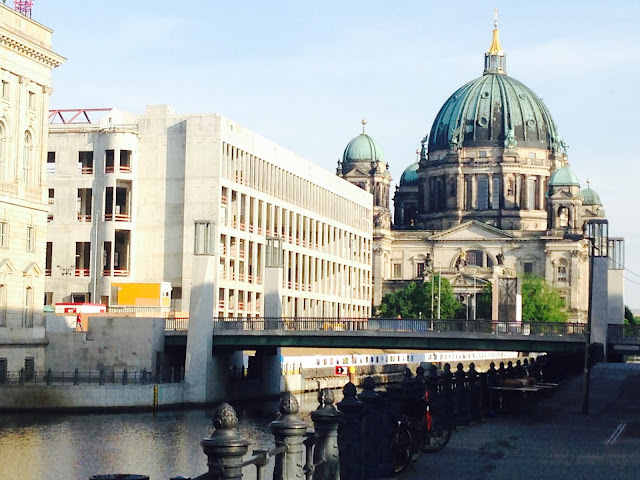 We Run Berlin! #DXExchange | Life, Sport and Diabetes - An everyday look at my life with type 1 diabetes. 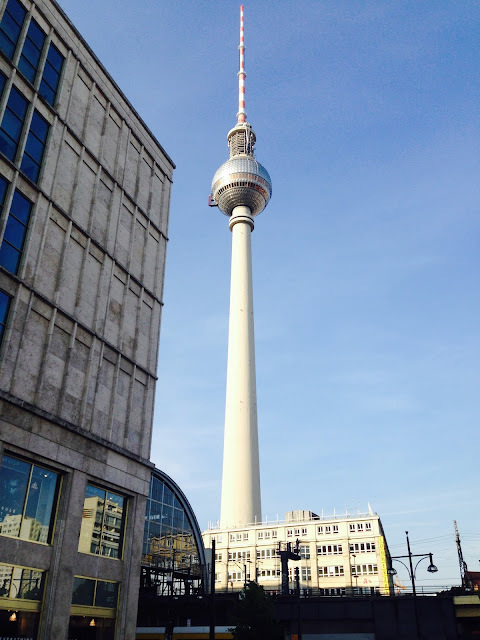 There were so many things that I was excited about doing within the program for the Abbott diabetes Berlin exchange, one of those things was to do an early morning run through the streets of the city with my fellow bloggers. I love exploring new places and what better way to see it than by running! I set my alarm for 6:45am Berlin time, and having set my running kit out the previous night I was ready to blood test, change and go when I woke up. My waking blood glucose levels were 8.7mmol, a perfect level for me for me ahead of a long (by my standards) run. I had some of the tasty jelly beans that we'd received in our welcome gift bag, reduced my background rate on my pump because it was sunny and went to meet the other runners in reception. Mona, one of the event coordinators kindly offered to be our running buddy/tour guide. So we set off out of the hotel towards Alexanderplatz, a picturesque square, located in the heart of the city. 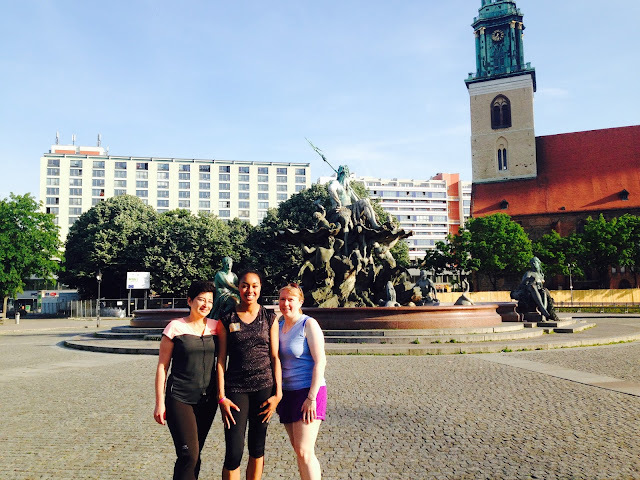 During the run we took in the interesting statues located within the Jewish quarter, and headed to the Spree river that runs through the city. Making a loop we headed back through the park, taking in the impressive water fountains including the Neptunbrunnen, all whilst running in the shadow of the Fernsehturm building. Although it was an early start, I was glad we ran so early,because when the sun really started to make its presence known, it started getting really hot! In total we ran 3.5km, which for a sprinter such as myself felt like we'd achieved a good distance! When we returned to the hotel, my blood glucose levels were 11.2mmol, slightly elevated because of the reduction I made in my background insulin. But it was a brilliant way to take in the city, and it made me feel energised for the exciting day ahead! Hba1c And Or Time In Range? My blog takes you through a daily look at sport, diabetes and everything in between. 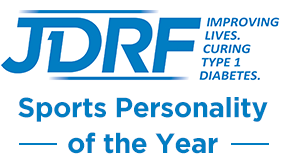 As an athlete that lives with type 1 diabetes I want to let you into news, views and all that is important to both of my passions.